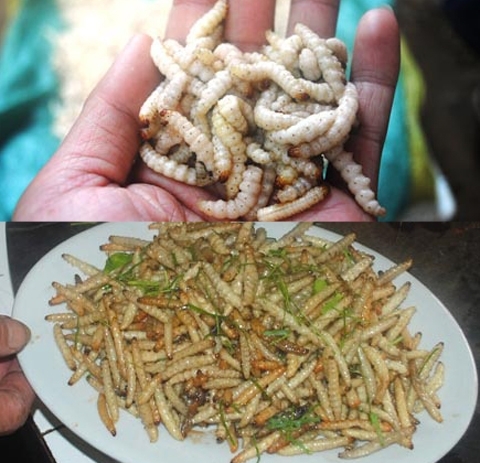 Although these creatures may seem unappetizing to many, worms have long been served in both food and drink in Vietnam, and can be quite nutritious. Certain provinces in the country are well known for this type of worm, including Hai Duong, Hai Phong, Quang Ninh and Thai Binh. They are known for being an expensive entree because they can only be caught on days when the tide is high. 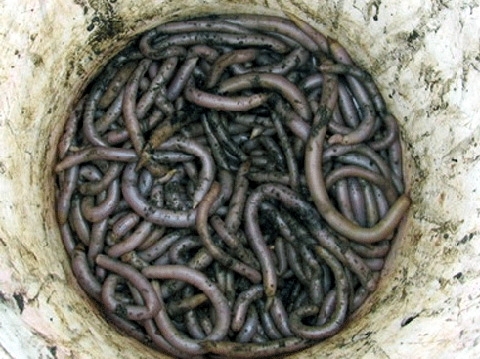 The worms are usually served grilled or with sauce or eggs. 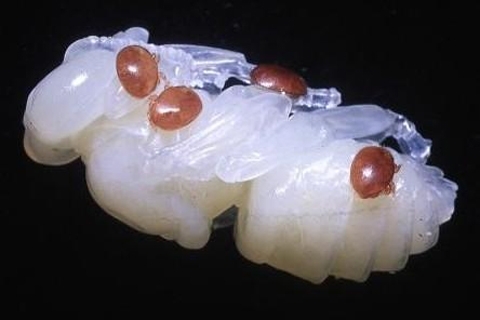 Queen bee larvae are said to be very good for "men's health" in Vietnam. They are usually steeped in alcohol for preservation, and in the past were reserved for the royal family. 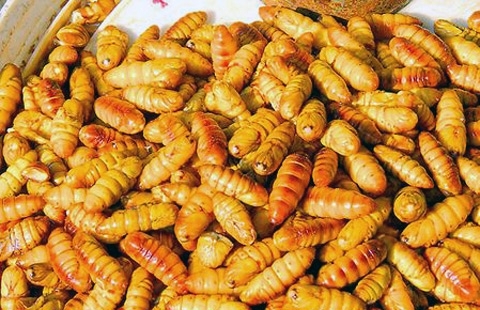 Bamboo worms are specialty of the people in mountainous and border areas in Thanh Hoa Province. The worms live in bamboo and, and the people of this region harvest them during the months of September and October, when both the bamboo and the worms are mature. The host will cook worm with lemon leaf as the main dishes to greet the guests they like. This is a white worm living in wild-growing "chit" trees among the limestone mountains in the northwest. Local people in this area take pride in the purported health benefits of this dish. 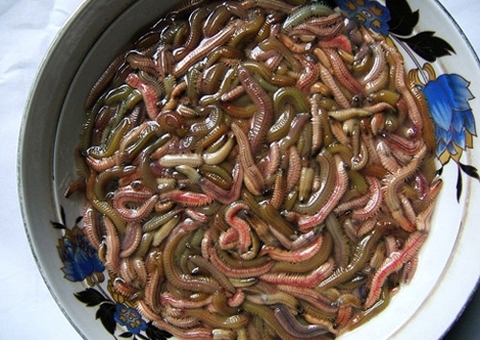 These worms are usually preserved in alcohol, but can also be eaten dried or in rice porridge. 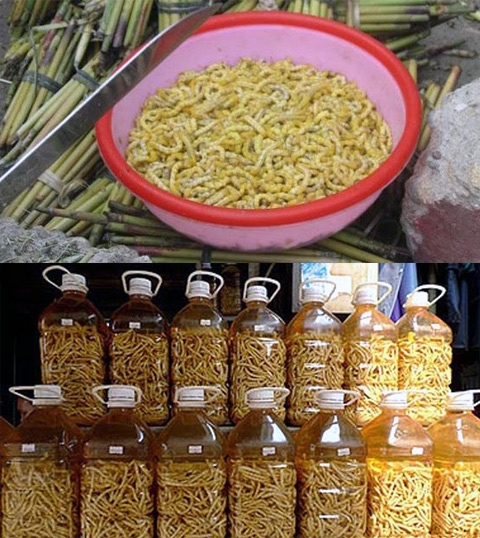 This is the most common type of worm eaten in Vietnam. It is rich in protein, however Vietnamese consumers are usually careful to pick out those that are not tainted by chemicals. Sea cucumbers live under the sand near estuaries. According to traditional medicine, sea cucumbers can cure colds, high blood pressure and are generally good for health. They are usually served grilled, in hot pot or mixed with shiitake mushrooms.